Happy July 1st! Where did the first half of the year go? Here are a few things I am thankful for today, the midpoint of 2014. Whenever I am tired and feeling overworked, I try to remember how difficult it is for too many others to find a livelihood. I am blessed to have two jobs that are stable, safe, challenging, and engaging. I continue to love what I do. I feel the love of God when He plants a seed of an idea in my mind, and allows me to discover it. 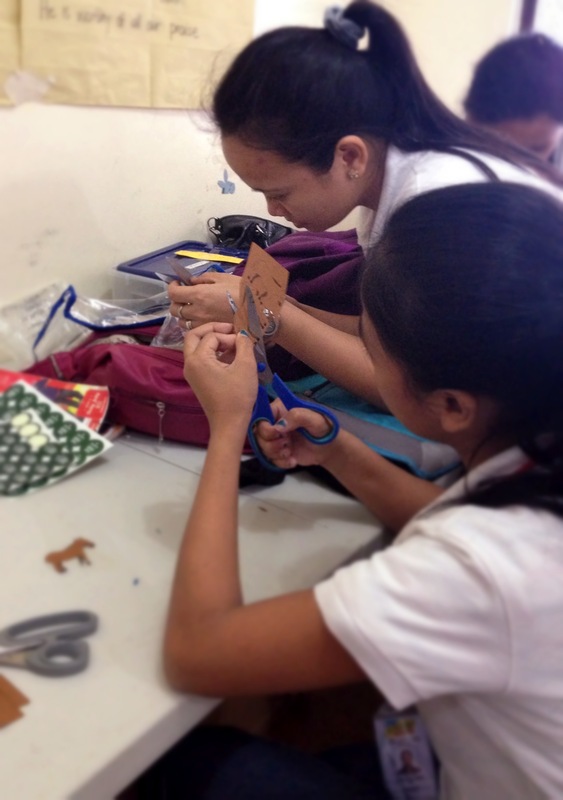 These are ideas for things to do – whether personal, professional or in between – Buhay Makulay activities, independent projects, creative initiatives, process improvement, troubleshooting, an interesting perspective, ways to mentor my staff, new ways to approach the classes I teach, or new adventures to go on. These are all gifts from above. 3. Hope after the storm. In the wake of devastating SuperTyphoon in November last year, and in celebration of the 8th year of the annual Fairs – we’ve taken our Buhay Makulay Children’s Fair on the road. The children and their communities continue to teach me about hope. Because of the #3, I’ve been able to travel the Philippines a bit more this year than most years. 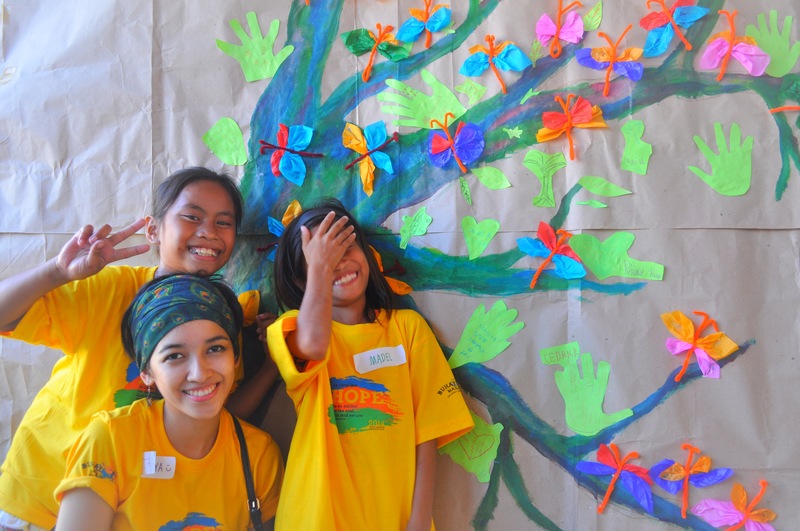 We’ve played with children from Capiz, Cebu and Leyte. Hopefully Iloilo and Negros in the coming months too. And I finally made my return to Singapore to visit my older sister – a plan six years in the making. #3 has allowed me to do some community art. But in the past few months, I’ve been craving personal art-making time. I cannot always fit it into my schedule, but since reading a beautiful novel about Claude Monet, going on a painting afternoon, purchasing a sturdy & easy-to-carry sketchbook while in Singapore – I’ve picked up my drawing pen again and vowed to restore art to its rightful place in my life. 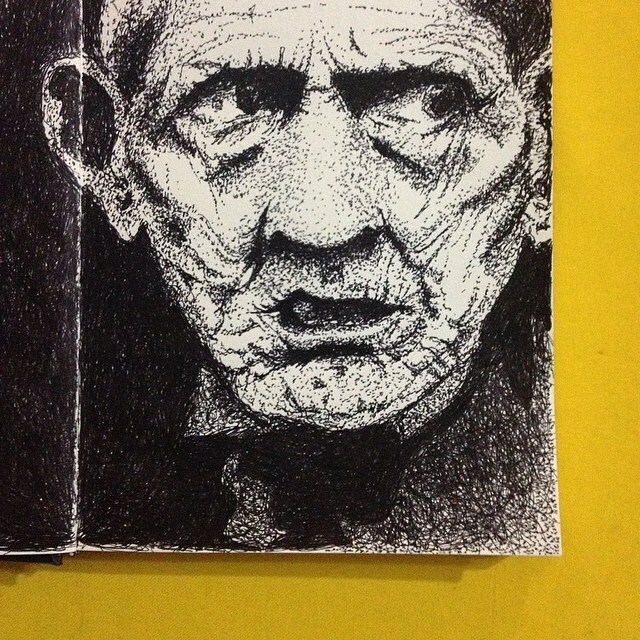 I also want to start dancing again – and by dancing I mean, not Zumba..
My pen portrait from a couple Sundays ago. Twenty four was a great year. Looking back at the adventures of the past twelve months, my gratitude just spills over. It was whirlwind of so many beautiful and challenging things. As I write and reflect, one thing seems to stick out: I learned a lot this year. Sounds like a pretty ordinary statement because isn’t all of life a journey of learning? (Yes!) But even so, this past year more than the years that have preceded it, has gifted me with some serious learning opportunities. My explanation for this is that my learning came hand in hand with my sharing (of the learning). But the sharing has added all the value for me. One of my favorite games as a kid was “Teacher Teacher.” Alone, with a friend, my stuffed toys, or imaginary students – I would pretend I was a teacher. I’d make a lesson plan, grading sheets, and then conduct a lesson, complete with the reprimanding of unruly students. There is still so much left to learn and discover; but I believe it was this year, at 24 years old, that I considered with more intention than ever, my role as a mentor and teacher to those in my circle of influence. 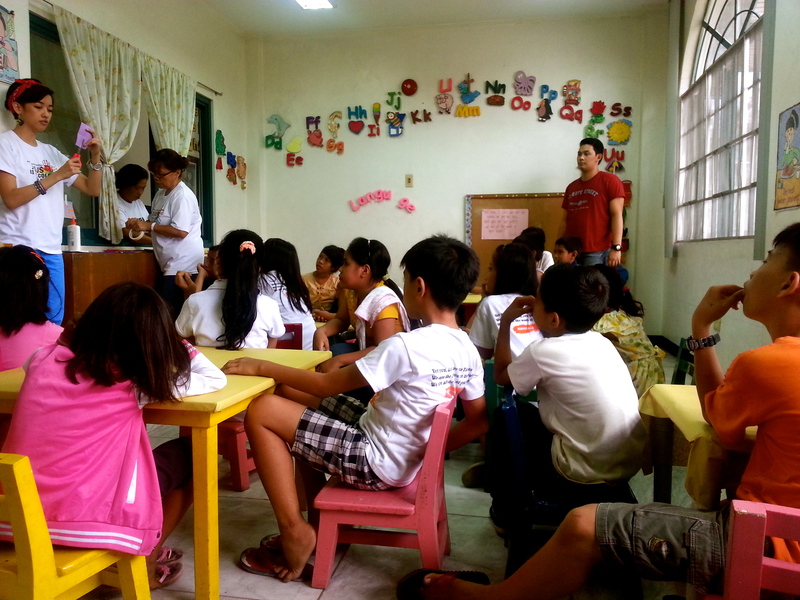 From June to December last year, I was leading Likha, a Buhay Makulay program. Over the course of six months, we met with a group of 31 children from the urban poor sector. Most of them live under a bridge and are considered invisible and unrecognized in their city. 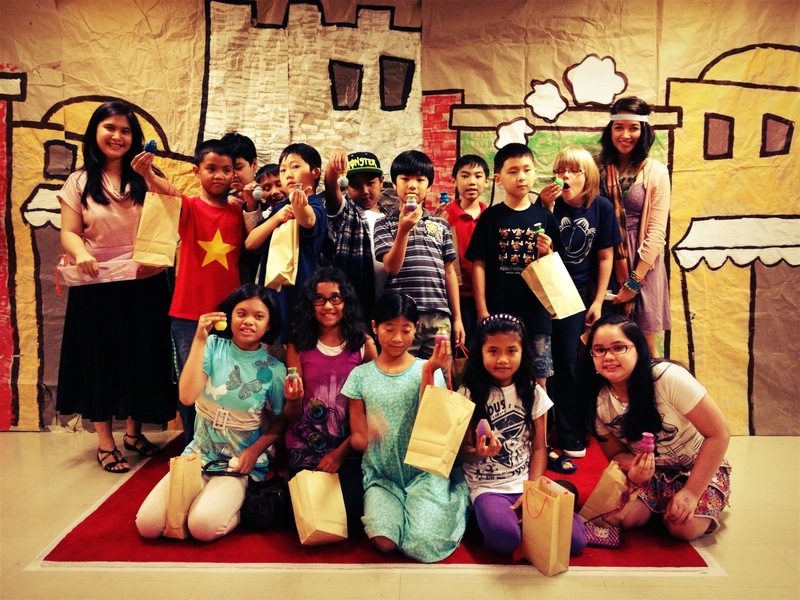 We were mentoring these little ones through movement and visual arts. Play used as learning. On one particular Saturday I was teaching them about complementary and contrasting colors. 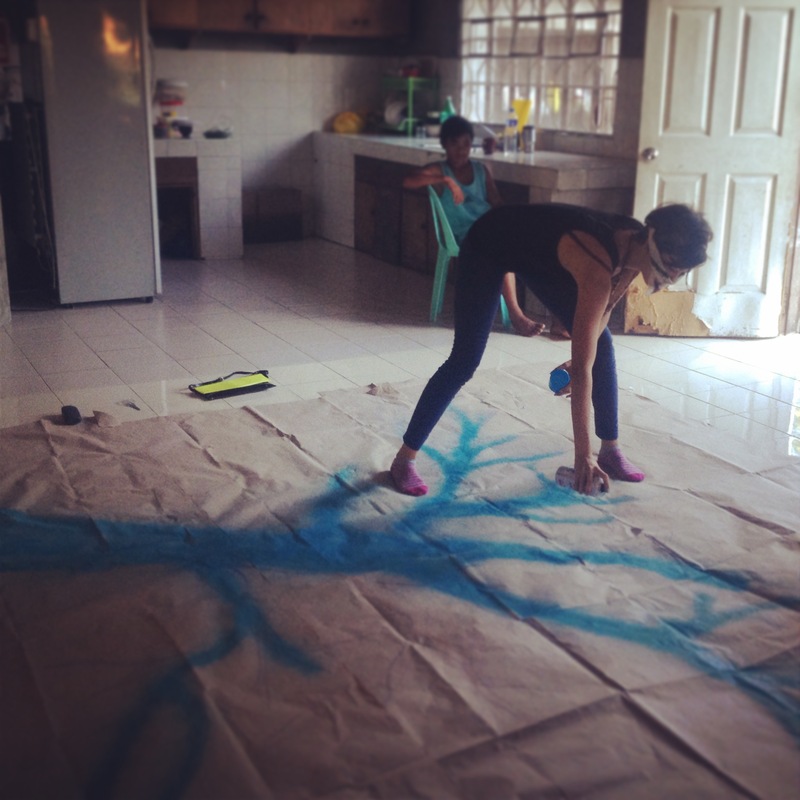 At the end of the art making session I realized that they got it. They grasped these basic art concepts! Sure, these weren’t deeply-scientific, mind-blowing theories, but it felt like an achievement nonetheless. They may never use that piece of knowledge again, but it’s the process of discovery that we valued. Despite barriers of economic or social background + my weakness in the language, something made it through – and clicked! It’s been a few years since I discovered how much I enjoy facilitating small to medium sized group activities/workshops, handling group dynamics both serious and silly (which by the way I would have never pictured, as the shy little girl I was). And now I feel I have grown even more. I’m learning to teach the way I first understood teachers as a child – in a classroom setting. Every day is a learning day for me. I was teaching Sunday School to 4th graders every Sunday at 10:30 am. Two Saturday mornings of each month I was facilitating art/life lessons with children from our city slums through Likha, a program of the Buhay Makulay Children’s Project Inc. To get that program running, I mentored a group of teenagers from similar backgrounds, who now served as volunteers and youth leaders in Likha. I was teaching roughly 15 (muscle-burning!) fitness classes a week at PlanaFORMA to folks (mostly women) of all ages. I was teaching Zumba regularly at the same studios, but also with lovely senior citizens at my church, two Wednesdays of each month. I was mentoring and managing our full-time staff at The Paper Project. 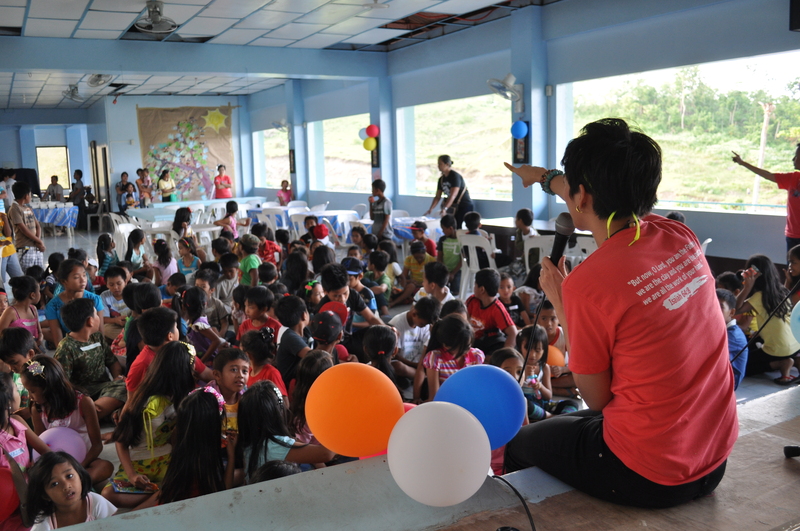 More recently, I’ve gone on the road with Buhay Makulay, traveling to communities affected by the typhoon last year to share a vision of hope with children. Over and over again, I am grateful for these windows to serve, learn and be given inspiration by the people around me. Aren’t we all just students of life? Easter Sunday 2013 with the kiddos from my first year of teaching 4th grade Sunday school! Does 25 mean that my early twenties are over? In every card, a story of hope: The Paper Project Inc.
We run a social business called The Paper Project Inc.
We employ women survivors of abuse, victims of oppression or women escaping flesh trades like prostitution or trafficking. These women are our precious card makers. 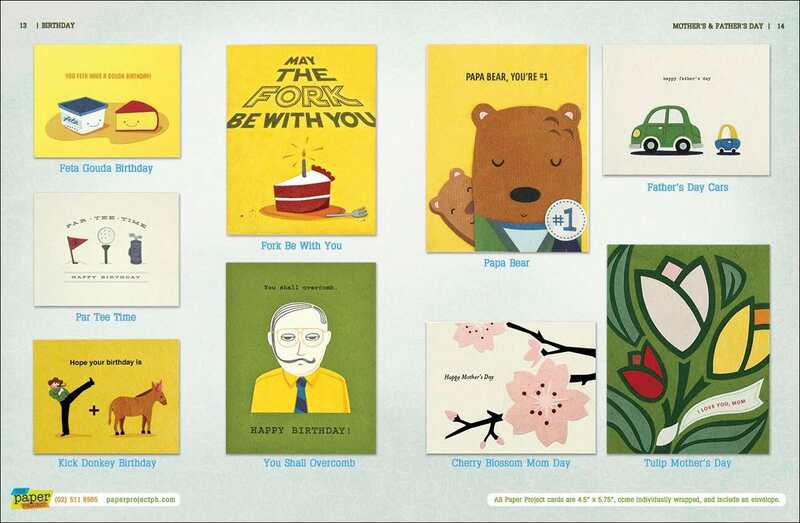 We make handmade greeting cards. Our cards have more soul and story than that musical e-card you sent out for the holidays. They are likely more special than the last card you saw your neighborhood bookstore. Our cards make it to thousands of stores across the United States through our partners at Good Paper. Recently our work has also made it to Australia and Germany too. But that isn’t the special part. People have often commented that my job must be sad or depressing – because of the history of abuse or oppression in my worker’s lives. 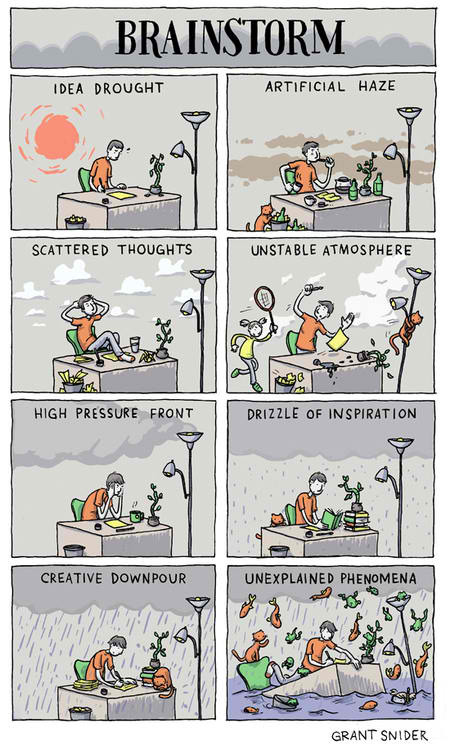 If you think my job is gloomy too, you are focusing on the wrong side of the story. In fact, my job is the exact opposite of sad and depressing. 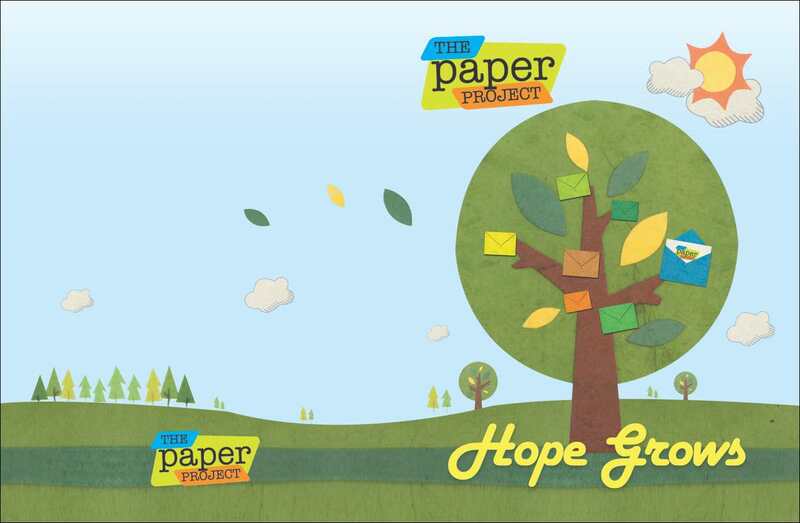 At The Paper Project Inc., we focus on the hope of a life renewed. And we start with a simple craft. This craft provides a stable livelihood and a community in which to grow. A full life can still be led by those who have been broken. Esther used to wander the streets of Metro Manila. She had been abused in the past, had no contact with her parents, and for a long time didn’t even have a copy of her birth certificate. With scarce opportunities for livelihood, having barely started high school, Esther now turned to vices for survival. One of our partner organizations referred Esther to us after seeing her waste her days away, hanging out at street known for gamblers, pick-pockets, pimps and prostitute pick-ups. 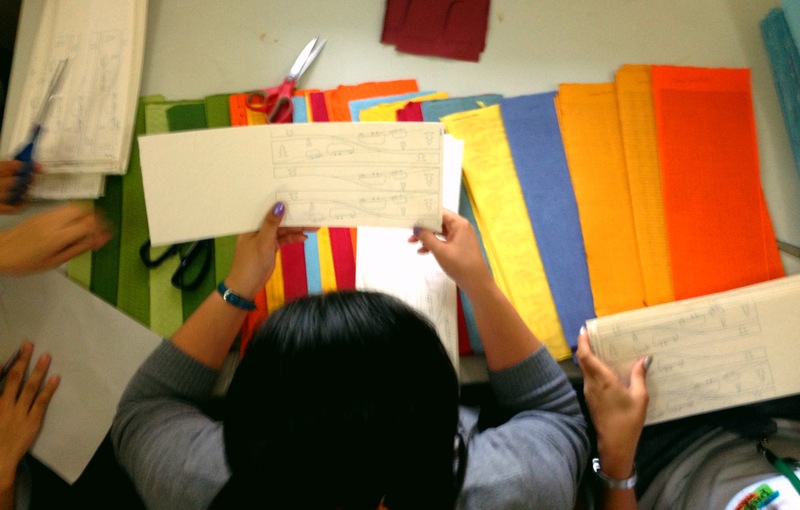 We welcomed Esther into our workshop where she learned how to cut and assemble cards out of handmade abaca paper. The training process is actually not as easy as it sounds. The individual parts of the card design can be very small or intricate. A card maker must learn the precise art of cutting all sorts of shapes that were sometimes easily the size of your tiniest toenail. Edges have to be smooth. Assembly has to be accurate. We pride ourselves in high quality craftsmanship. You’ll see it across all the products we create. You never know how each new trainee will take to the work. Not long after her start with us, Esther was overheard on the street by her social worker, speaking confidently and excitedly about her new job. She boasted to friends, but in the most earnest way possible, about her work in a nearby city’s business district. She was hopeful and full of excitement. She was talking to her friends on the same street where other women continue to trade their bodies for their next meal. In her new community at The Paper Project, Esther bloomed. 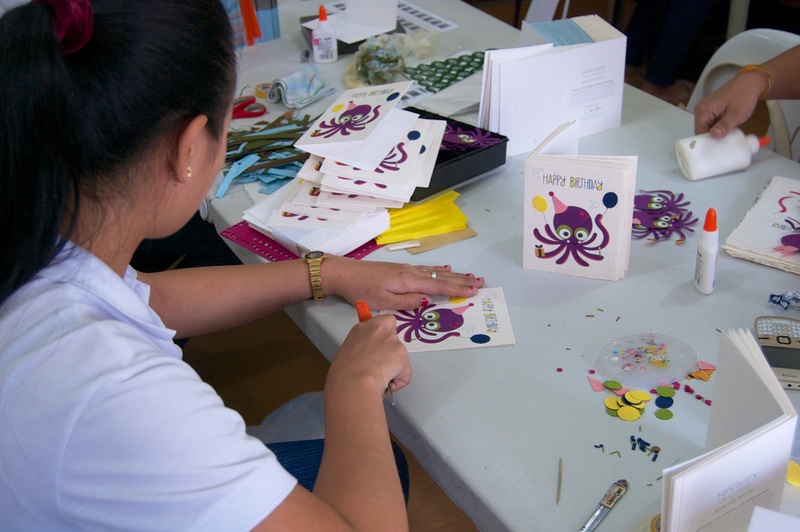 In less than eight weeks, she was given the privilege to train other women in cardmaking. She was even earned the responsibility to manage the quality control of our completed cards. Today she continues to thrive in our card making workshop. Just having a basic uniform transformed the way Esther carried herself. Having a place she needed to be at, where attendance was taken and where she had assignments to complete – this transformed her sense of daily purpose. A pay check at the end of two weeks and women to fellowship with – these transformed her lifestyle and self-worth. In every card, a story of hope. And hope grows. Maybe one day you will also hold in your hand a card lovingly made by one of our beautiful women. 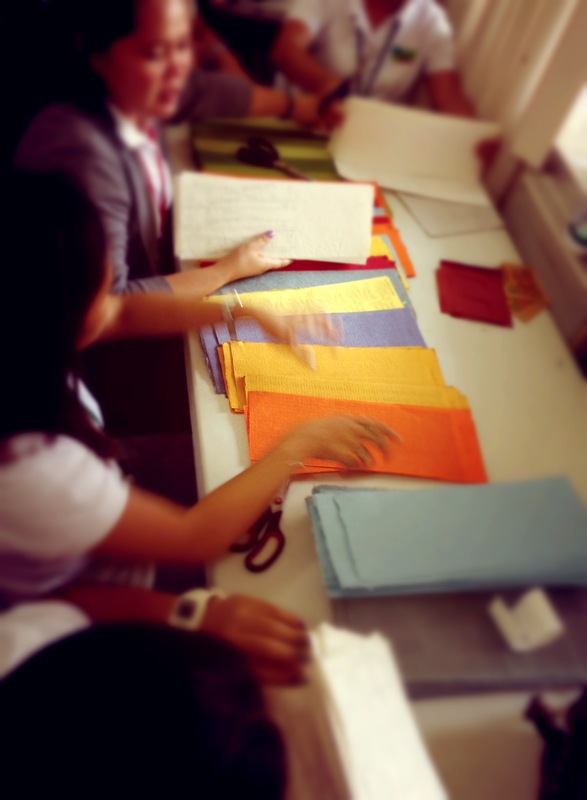 Like The Paper Project on Facebook or follow us on Instagram.